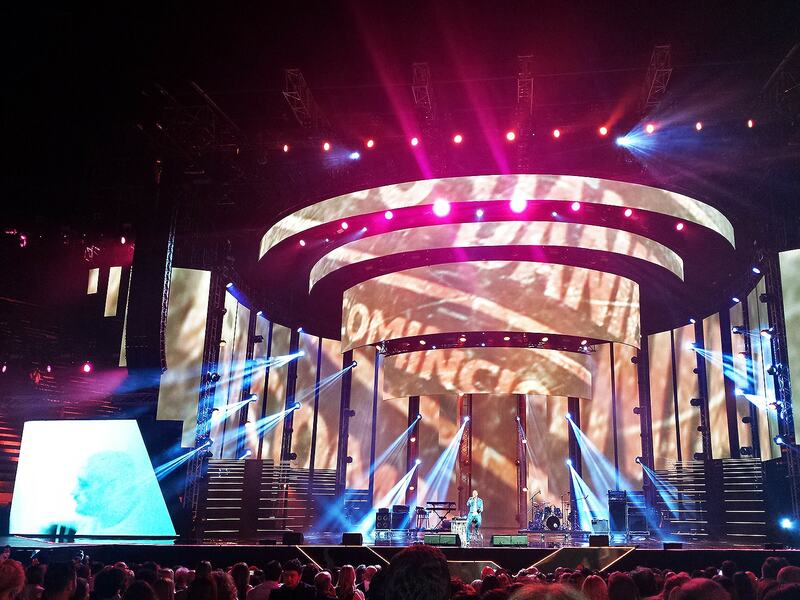 EVO on the stage of the Wind Music Awards 2016. 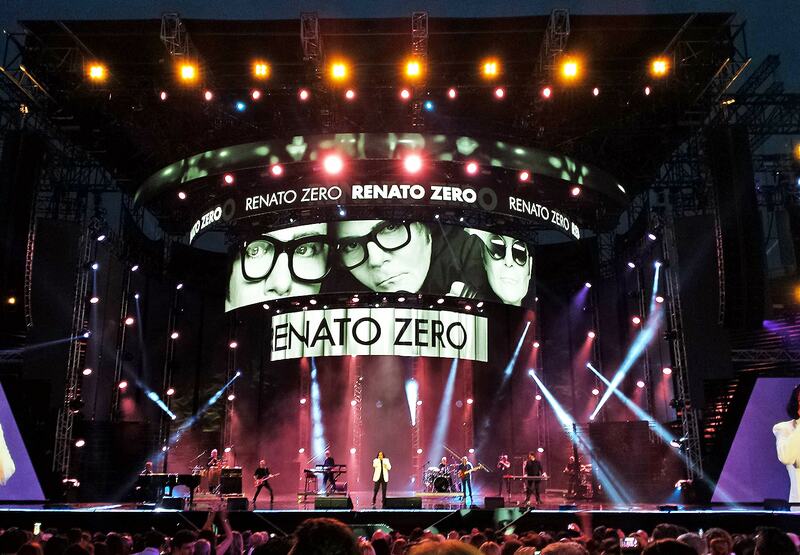 On 6 and 7 June the Arena of Verona hosted the 10th edition of the Wind Music Awards. The best of Italian music performed on the Arena stage, including Mario Biondi, Luca Carboni, Francesco De Gregori, Elisa, Il Volo, J-Ax, Ligabue, Negramaro, Nek, Max Pezzali, Pooh, Francesco Renga, Ron, Antonello Venditti, Alessandra Amoroso, Claudio Baglioni and Gianni Morandi, Benji & Fede, Max Gazzè, Fiorella Mannoia, Marco Mengoni, Modà, Gianna Nannini, Laura Pausini, The Kolors, Renato Zero, Zucchero. 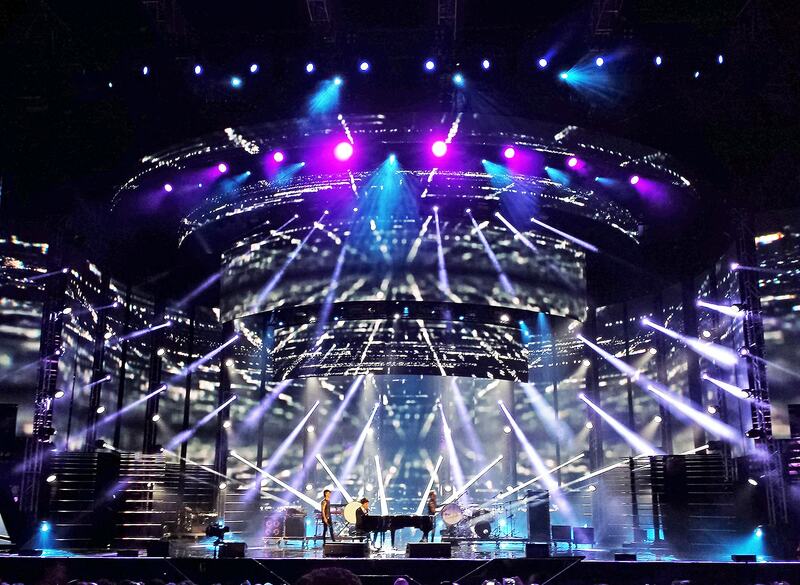 It was a great success, with sold out tickets, and a record audience of over 6 million viewers for the TV broadcast. The event was also an opportunity to reward the Italians artists that reached the Gold, Platinum and Multi-platinum certification with their albums and singles, over the last 12 months. 50 EVO moving heads, installed by the rental company Agorà, contributed to the success of the event, highlighting the performances of the artists in the two evenings.